Dr. Charles Crist, MD,PC provides more information on testing for Borreliosis in Columbia, MO. When physicians do consider borreliosis, they often start with a screening test such as an EIA, ELISA, IFA or PCR-DNA probe. If the initial screening test is negative, many physicians tell patients they do not have borreliosis and the testing is stopped right there. Western blots are accomplished by breaking the Borrelia burgdorferi into pieces, and those parts of the Lyme bacteria are then embedded in a gel. Electricity is used to push antibodies made by the immune system through the gel. Antibodies that are made to attach to certain parts of the bacteria will bind to those exact parts that are embedded in the gel. When the antibodies bind to the parts of the bacteria, a black band is formed, which is then interpreted as IND, +, ++ or +++ depending upon the intensity or darkness of the band. Each part of the Lyme bacteria weighs a certain amount. 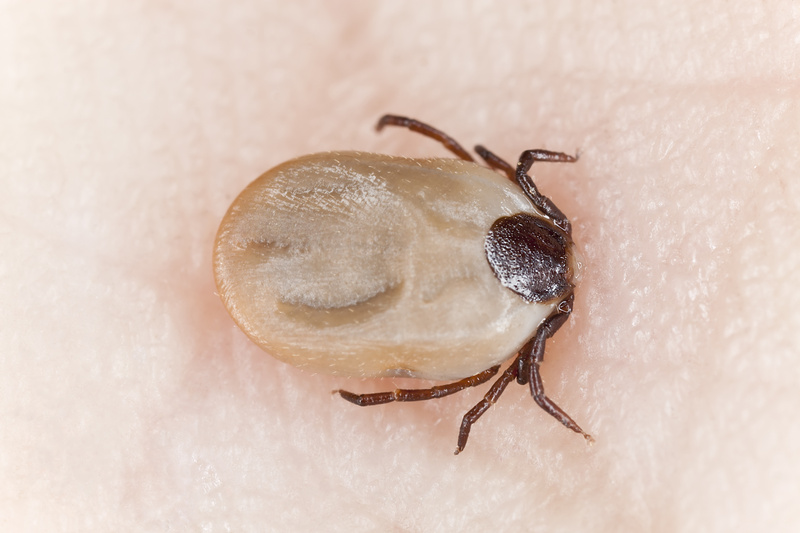 For example, the tail of the Lyme bacteria weighs 41 kilodaltons (kDa). Think of kilodaltons like pounds, ounces or kilograms. The numbers on a Western blot such as 23, 31, 34 or 39 refer to how much that particular part of the bacteria weighs in kilodaltons. The significant antibodies, in my opinion, are the 18, 23-25, 28, 30, 31, 34, 39, 59, 66 and 83-93. It’s important to know that screening tests like the EIA, ELISA, IFA and PCR can be negative even when the Western blot (confirmatory test) is positive. I presented research that supported this at the 1994 International Lyme Borreliosis Conference held in Bologna, Italy. For this reason I believe the screening tests are practically worthless, and why I use the Western blot to “screen” for borreliosis, even though it is a “confirmatory” test. Antibodies are very specific as to what they bind; consequently, in over 700 borreliosis patients false positive blot results occurred in only three percent of them, based upon research I presented at the 2000 International Lyme Borreliosis conference. Data from those same 700 patients showed that if their Western blots had even one antibody significantly associated with the bacteria, there was a 97 percent chance they would feel better with antibiotics. Consequently, I tell my patients not to worry if the laboratory interpretation is “negative” or “equivocal,” if they have antibodies that are significantly associated with Borrelia burgdorferi. One thing doctors are taught in medical schools is to treat the patient, not the test result. If someone has chronic pain, fatigue, cognitive problems, blurry vision and/or neurological problems, and also has a significant antibody on a borreliosis Western blot, that antibody should not be ignored in my opinion, even if the ‘official’ interpretation is negative or equivocal. Remember, antibodies are very specific to what they bind, and borreliosis may cause virtually any symptom and any disease. Disease surveillance is close observation of a group of patients with the same disease, and it is one of the jobs of the Centers for Disease Control (CDC). Criteria used for disease surveillance is often different than criteria used to diagnose and treat patients. In my opinion, surveillance criteria should not be used in day-to-day clinical medical practice. Unfortunately, many patients are told they do not have borreliosis because they do not meet CDC’s surveillance criteria. Surveillance criteria exclude some of the classic hallmark antibodies, such as the 31 kDa band (outer surface protein A or ospA) and the 34 kDa band (outer surface protein B or ospB). In fact, the 31 kDa band is so tightly associated with borreliosis that a vaccine was made from that outer surface protein. In other words, I believe that criteria that exclude the ospA (31 kDa) band should not be used to tell a patient they do not have borreliosis. Common sense should tell anyone that prevalent antibodies like the 31 dKa and 34 dKa should be included in the criteria, not excluded. Remember, research supports that if just one antibody that is significantly associated with Borrelia burgdorferi is present on a Western blot, 97 percent of those patients with chronic symptoms or chronic diseases feel better with antibiotics. Same day head-to-head comparisons of borreliosis Western blot results revealed that reference laboratories do a better job of finding antibodies against Borrelia burgdorferi than regular laboratories. This raised the obvious concern that the reference labs might be overdiagnosing patients with borreliosis. That is one of the reasons why I researched those 700 patients. However, the false positive rate was just three percent. In my opinion, reference laboratories do not over-diagnose borreliosis. The first Western blot from a specialty laboratory usually gives the answer. Only about one (1) percent of patients I see need a second Western blot. Coinfection testing may depend upon where you live on planet earth. I talked to one medical doctor from New England that was concerned about getting too many positive test results for bartonellosis (cat scratch disease). This physician was concerned about false positives. Yet I have very few positive test results for Bartonella. Research by Greg McDonald, Ph.D. has shown that there is a different borrelia in the Midwestern U.S.A. When Dr. McDonald used a PCR primer that would amplify any strain of borrelia, he obtained positives from biopsies of bulls-eye rashes caused by tick bites in patients from Missouri and nearby states. However, if Dr. McDonald narrowed the PCR primers to amplify only Borrelia burgdorferi, Borrelia lonestari or Borrelia andersoni, the results were negative. In other words, the Midwest has a different borrelia. It has been referred to as Borrelia “confusiosis,” but one of these years when it is finally characterized fully, this Midwestern borrelia will probably be known as Borrelia mastersi, in honor of Edwin Jordan Masters, M.D. and his extensive research. Pathologists who use a microscope to examine bulls-eye rash biopsy specimens from Midwestern patients observe significant and consistent differences when compared to biopsies from New England patients. The diseases and their rashes are similar, but there are definite differences. This is why borreliosis or Masters’ disease is a better name. It is similar to, but different than, New England Lyme disease. Another feature of Midwestern borreliosis is the inability to grow Borrelia burgdorferi from patients with Lyme borreliosis. In New England about five percent of cultures grow Borrelia burgdorferi from borreliosis patients. There are other Borrelia that cannot be grown in culture media. The bacteria that causes syphilis has never been grown in culture media, even though this infection has been known and studied for several generations. It should not be surprising that the Midwestern borrelia cannot be grown in culture media yet. When it is, knowledge of this infection will increase tremendously. James Oliver, PhD, who is a very highly respected entomologist, has successfully cultured Borrelia andersoni from over 60 ticks collected in Missouri. Why human cultures are negative and tick cultures are positive remains a mystery. Still, there appears there is a Midwestern borreliosis. The same is true for co-infections. The babesia in Missouri is called MO-1. It is a different babesia. There are different ehrlichia. It would appear there is a different bartonella. When you have different strains of germs, the test results may be falsely negative. To protect patients’ pocketbooks, I rarely test for tick-borne coinfections. If the tests were reliable I would be more inclined to order more. In general, when potential coinfections are targeted with antibiotics, 97% of patients get better. At least three possibilities exist to explain patients feeling better with antibiotics. It could be that an antibiotic that targets a potential coinfection such as babesiosis may actually be killing the borrelia bacteria as well. Or it may be that a negative test for a coinfection was falsely negative. And finally, there may be some unknown germ that the patient has that responds to the antibiotic. I tell my patients that regardless of why the antibiotics help most borreliosis patients, the benefits of antibiotics outweigh the risks. My greatest concern is untreated borreliosis, not the potential side effects of antibiotics that target tick-borne infections. Specimens for borreliosis Western blot testing should always be express-mailed to the laboratory. Antibodies against the Lyme bacteria can clump or bind together and give a false negative test result. Express-mailing specimens lessens the time in which this could happen, which in turn increases test accuracy. If your specimen sits around for several days (or if a screening test is ordered instead of a Western blot, or if a regular lab is used instead of a reference lab) then you might be given a false negative test result, which in turn could result in a false sense of security. Testing in my office consists of a Western blot that is express-mailed to a borreliosis reference laboratory.